All Drag Racers Run On a Budget & Kirkey Seats Fit Right In! 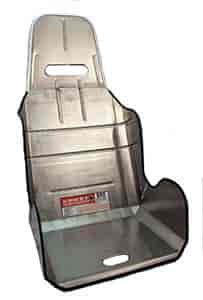 Available 15-1/2" or 17-1/2" at the hips, Kirkey Clip-On Drag Seat Covers have high-density foam padding for extra thigh support and double stitching around stress points. Seats and covers sold separately or as kit. 16800 is rated 4.7 out of 5 by 6. Rated 5 out of 5 by Forcedfedmopar from Seat Good seat for the money, my big 250lb but fits well, and am comfortable even without the optional padding. Rated 5 out of 5 by Joses308 from I bought it about a month ago installed in the car and it worked perfectly the Best Buy that I've ever made this year! Rated 4 out of 5 by red1 from good economical seat The seat fits my needs and is very comfortable. And I feEl safe in it.